For marmosets, bushbabies, and taramins, you can simply go to the pet store and purchase a ferret hammock. For larger primates you have the option to purchase custom build primate hammocks online or you can have the option to make your own hammock. 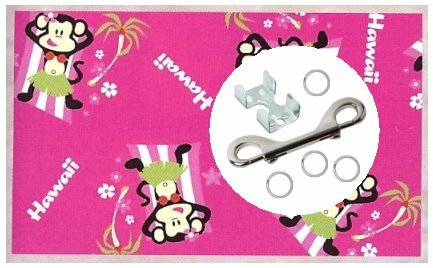 Here we’ll explain how you can make your own primate hammock which requires no sewing.